If it looks even close to the concept, the GV80 will be sweet. The GV80 Concept bowed in 2017 at the New York International Auto Show to positive reception for its athletic look, stunning details, and impeccably crafted interior. Genesis sedans have not been selling especially well against the Germans and the Japanese, with only a fraction of the market share of luxury automobiles. 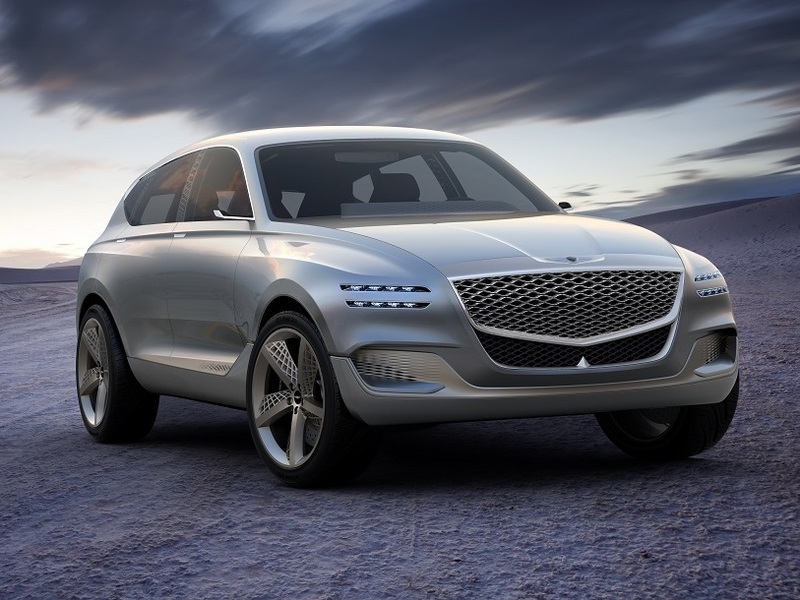 Like its parent company, Hyundai, Genesis has been late to the crossover game, and it's hurt them. When the GV80 bowed, it looked like no other SUV on the road. Genesis sells some of the best cars in the industry. The G90 luxury sedan is like a poor man's Bentley. The G80 Sport is a great blend of luxury and sportiness and makes for a great daily driver. The new G70 sports sedans bests BMW at the sports sedan game. But none of these sedans sells especially well (though the G70 is gaining speed) and the brand is in desperate need of an SUV/crossover. Word is that Genesis will sell the GV80 as a 2020 model, but it's important to note that the timing isn't exactly ideal. The SUV and crossover segments are hot right now, and Genesis should've capitalized on it earlier. Now, there are newer versions of the BMW X5, Audi Q7, Ford Explorer, and newcomers like the Volvo XC90 and sister company Kia's Telluride that's just around the corner. Though the GV80 will be late to the party, it looks to be quite a unique SUV in terms of design. If it's anything like the wildly styled concept, it will exhibit design cues never seen on an SUV before. Dramatic and deep body creases and vents, thin headlights and taillights, and a seriously sloped D-pillar give it a strong visual presence. The GV80 will also ride on the new G80 sedan's platform, and it will be rear-wheel drive based rather than front wheel drive. All-wheel drive will be optional. Most of the interior won't make it to production, including the 22-inch screen. Under the hood should be three engine powerful engine options, a 3.8-liter V6, a twin-turbocharged 3.3-liter V6, and a big displacement 5.0-liter V8. What's important to note is that Hyundai and Genesis are making some of the best vehicles out there for the money. The G70 sports sedan has earned rave reviews for its quality, driving dynamics, and luxury. There's no doubt the GV80 will be more opulent, powerful, impeccably built. So, though Genesis might be late to the game, they're doing it in a particularly strong manner. It looks like Genesis is finally getting wind of what everyone else has known for a while. They will introduce a smaller SUV known as the GV70 in 2021 after the GV80 hits showroom floors. The GV70 will share the same platform as the G70 sports sedan, and it will directly compete with the likes of the Audi Q5, BMW X3, the Lexus RX, Jaguar F-Pace, and the Mercedes GLC. Will the GV80 save Genesis from becoming a short-lived luxury brand? It's hard to say, but it's vital for Genesis to get the SUV out on time, but it has to do it well, or their reputation will be on the line. Genesis garnered the top customer satisfaction rankings, but they need to build the vehicles consumers want. We want to see them not just survive but thrive, but only time will tell.